People vote with their wallets. Based on five economic and financial inputs used in a new Breakingviews calculator, Britain’s voters have fared only so-so in the last five years. The combined effect of the electorate following the money could swing votes to Labour in next month’s general election. Prime Minister David Cameron may earn credit for presiding over low interest rates and the quiescent inflation they imply. Bond yields, in fact, have been lower over the last five years than at any time since 1983. Meanwhile, the strongish pound on Cameron’s watch will win some support, as it suggests Britain musters respect on the global-trade stage. Those factors could help the Conservative-Liberal Democrat coalition get re-elected. Then again, low rates can simply betray a shortage of heat in the economy. And the strength of sterling isn’t likely to carry as much ballot-box weight as, say, economic performance overall, as measured by GDP growth. Here, although the last two years have seen expansion at a pace that’s in the top third of annual gains over the last 32 years, the average performance under Cameron’s government lags what was typical between 1983 and 2010. The same goes for increases in the value of the assets so dear to many Brits’ hearts: their houses. Residential property has perked up recently, but again the five-year average falls short of the norm achieved by other governments over three decades or so. Stock market returns, too, have been pretty mediocre in a historical context over the last half-decade. The Breakingviews calculator weights these five financial performance factors and converts them into seats won or lost in the coming election. It also takes account of likely structural changes in voting patterns, notably in favour of the Scottish National Party. The best-case result for the Conservatives, weighting their financial strengths most heavily, is that they win 296 of the 650 available seats – just short of their 2010 haul. The best case for Labour sees the party take 313 seats. The Breakingviews base case, though, puts growth first, then house prices, then the performance of the FTSE 100 followed by bond yields and sterling strength. On that ranking, Labour’s Ed Miliband will become the next prime minister, but he’ll need to work with other parties as well as keeping the support of the 298 other Labour members of parliament. Britain's opposition Labour Party leader Ed Miliband speaks during the launch of their Manifesto for Young People at Bishop Grosseteste University in Lincoln, central England April 17, 2015. 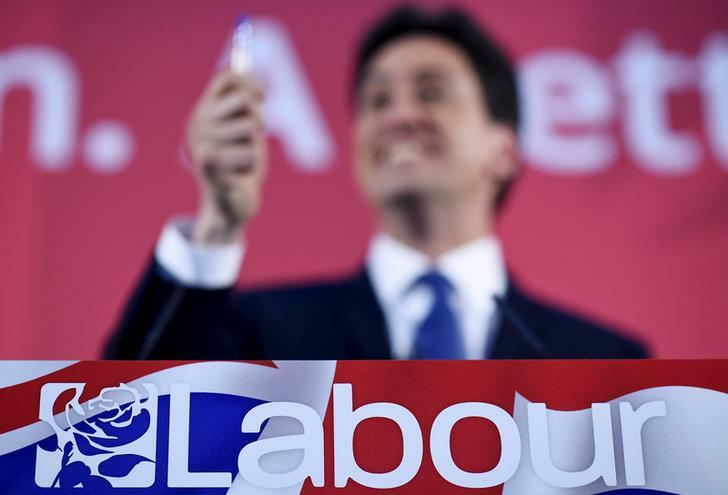 The UK’s general election is set to take place on May 7.